Specially designed with removable bottom support stays so seat will conform to molded, contoured canoe seats. 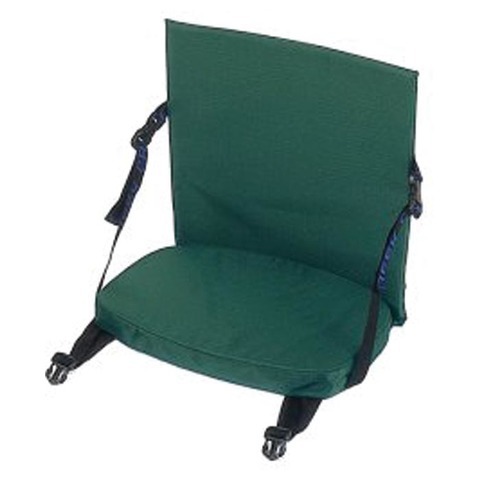 Straps with quick-release buckles secure chair to most canoe seats; detaches quickly for use as a camp chair. 1"" memory foam. 420D coated ripstop nylon shell. Dimensions: 27"" x 15.5"". Wt: 1.37 lbs.